According to AIADMK’s last update of suicides following Amma’s death, the number stood at 597. The party said these people were unable to bear their leader’s death and announced Rs 3 lakh compensation for the bereaved. Critics slammed the move as a “bribe” to take this drastic step. Sasikala’s first speech as AIADMK’s general secretary suggests both she and the party know what they are up against. 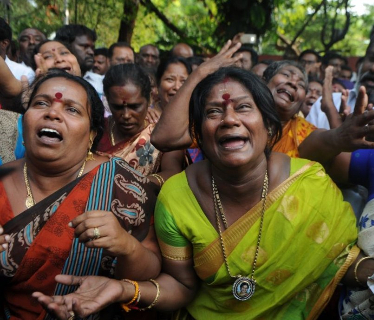 What was the news on supporters’ reactions to Amma’s death? 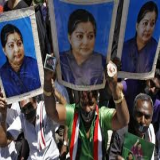 On December 7, the AIADMK made it known that 77 people had died “out of shock” over Jayalalithaa’s passing announced the families of the dead would be given a compensation of Rs 3 lakhs. By December 10, the suicide toll had risen to 280. 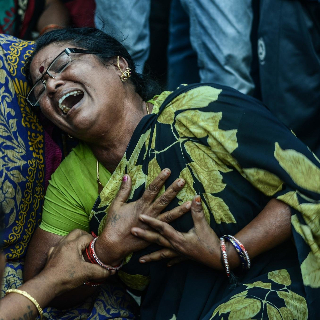 According to Chinnakutti Ponnaiyan, a party spokesperson, saddening news of more deaths was continuing to pour in, and within one day from the 10th, shot up by 190, said official updates released by the AIADMK. With each update, AIADMK repeated it would compensate the families at Rs 3 lakh per family. Again on December 19, the AIADMK released a list of 127 additional people who had died for the same reason. The party, as it had earlier, offered condolences on all the deaths, sympathized with the family members and again mentioned they would be compensated. Apart from this, the party also wished a speedy recovery to those who had attempted suicide and were undergoing treatment, and offered Rs 50,000 for their treatment. According to the latest list, this number was 8. Mainstream media hold that the number of suicides they mention in their reports is a quote of the AIADMK’s claim. To understand the mindset of her followers, one must look at her status as a leader and icon. Elevation of leaders to divine status is part of Tamil Nadu politics. With Jayalalithaa, this was commonly observed as even the ministers holding high positions would prostrate at her feet. Much of her popularity stemmed from her populist schemes targeted at the poor. She won the admiration of the lower section of society, which often was the recipient of her never-ending freebies. Thus she achieved an enormous emotional connect with her voters. Although many who equated her handouts with bribery criticized her, she said it was her scheme to wipe out poverty. In return, the poor who saw her as their charismatic benefactor loved her.She was their redeemer and their savior. While championing the cause of poor is not new and has shown before to evoke tremendous response, most leaders are remembered because they could effectively reach out to their target sections. Two million people sadly bid their last respects to Mahatma Gandhi in 1948 while millions took to the streets when Mother Teresa of Calcutta died in 1997. Millions reportedly attended the funeral of C.N. Annadurai, one of Jayalalithaa's predecessors as Tamil Nadu chief minister in 1969, and Bal Thackeray’s death in 2012 brought Mumbai to a grinding halt. Like them, Amma drew her ‘support from the legions of poor rather than from within Delhi's corridors of power. When have there been questions raised about this? It is unclear if the AIADMK is manufacturing this for propaganda purposes. There is no news based on actual eyewitness accounts or quotes of family members of the deceased to back up the numbers. Critics said such acts are encouraged by the party, which offers large compensation packages to the families of followers believed to have died or committed suicide out of loyalty to its leaders. The party, it is alleged, has incentivized suicide, which remains a crime under Indian law. That it is offering Rs 50,000 for attempting suicide is not just unacceptable, but also illegal. According to Section 309 of the Indian Penal Code (IPC), "whoever attempts to commit suicide and does any act towards commission of such offence, shall be punished for a term which may extend to one year of with fine, or with both". The practice of rewarding suicides, however, is not new. 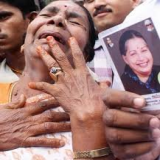 Hundreds “committed suicide” after the graft verdict against ‘Amma’ in 2014. The party said it has given out over Rs. 7 crore as relief to families of 244 persons who supposedly committed suicide due to Jayalalithaa's conviction. There have been critics who say that the so called ‘suicides’ committed by the supposedly devastated Amma fans weren’t suicides at all; that natural deaths have been taken advantage of by passing them off as suicides due to heartbreak over Amma’s conviction. Previous experiences such as these give cause for question. Where else did we such strong action/reaction for a political figure? In Tamil Nadu itself, on different occasions, people have reacted very strongly to their idol’s defeat or death. When MGR died in 1987, around one million people followed his funeral cortege; around 30 followers committed suicide and thousands shaved their heads in homage. The suicide wave MGR’s popularity set off was unsurpassed. Starting October 1972, when two persons killed themselves protesting MGR’s suspension from the DMK. 15 years later, when MGR took ill and was rushed to the U.S. for treatment, a mass hysteria gripped the State with over 100 people attempting to burn themselves alive. 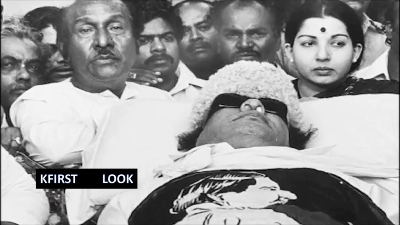 When MGR died after a prolonged illness on December 24, 1987, 31 persons ended their lives. When DMK president, M. Karunanidhi, was arrested in 1986 after the firing up of anti-Hindi protests once again, 21 persons died, most of them through self-immolation. Note: Marudur Gopalan Ramachandran (17 January 1917 – 24 December 1987), popularly known as MGR, was the Chief Minister of Tamil Nadu between 1977 and 1987. MGR is a cultural icon in Tamil Nadu, regarded as one of the most influential actors of the Tamil film industry. In 1945 Nazi Germany, there were large-scale deaths of civilians, government officials and military personnel during the final weeks of the Third Reich. First, Nazi officials like Adolf Hitler, Joseph Goebbels and Philipp Bouhler chose Selbstmord (German for Self-murder) rather than accept the defeat of Germany. Hitler had promised the Germans that he would kill himself he could not make Germany rule Europe. Then, hundreds of Germans followed their Fuhrer into the after-life. Studies have shown that the suicides were influenced through Nazi propaganda (reaction to the suicide of Adolf Hitler), the tenets of the Nazi Party, and the anticipated reprisals following the Allied occupation of Nazi Germany (there were reports of mass murders and rapes by the Russian Red Army). For example in April 1945, at least 1,000 people killed themselves and others within 72 hours as the Red Army neared the East German town of Demmin. Who have gone overboard in the past for Amma? A painter painted with his blood to make 56 portraits of her on the occasion of her 56th birthday. 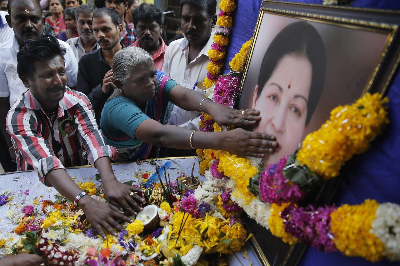 Fans have self-inflicted horrifying injuries such as chopping off their fingers, cutting off their tongues, nailing themselves to crosses, and walking on hot coals all for Amma to notice. 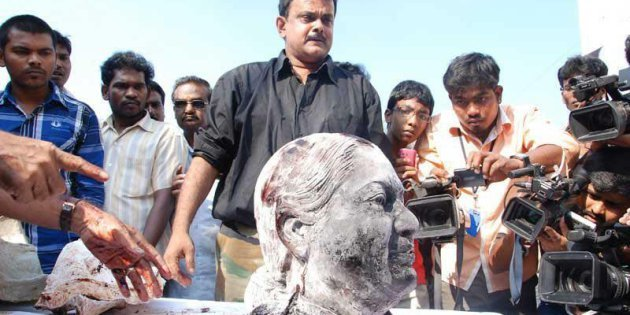 Martial arts expert Shihan Hussaini 'crucified' himself, with ample press cameras to cover his action after Jayalalithaa stepped down as Chief Minister last year following graft chargers against her.He also sculpted a Jayalalithaa bust from his own frozen blood. He had saved up 24 units of blood over 8 years to create this statue. MLA M.V. Karuppiah was photographed floating in the Madurai Municipal Corporation swimming pool with an AIADMK flag to pray for Jayalalithaa's long life, earlier this year. 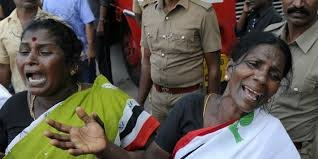 AIADMK supporters have reportedly used their blood as thumb print to demand Jayalalithaa's release after she was arrested in a disproportionate assets case in 2014. 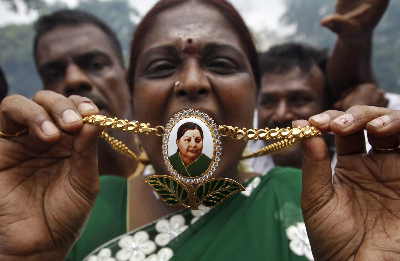 668 AIADMK supporters were supposed to get tattoos with Jayalalithaa's face to honour her on her 68th birthday in February this year but 1000 people turned up. Reports have it that T. Ravindran self-proclaimed to be dead and conducted his own last rights as he believed the sacrifice would benefit Amma. How poised is Sasikala to take over? Though the AIADMK’s General Council and Executive Committee meeting happened in a subdued atmosphere this time, it was in the spotlight as Sasikala took over as AIADMK general secretary, despite strong opinions against her and a group claiming to be from AIADMK pitching Deepa, Jayalalithaa’s niece, for the role. Despite polarization within AIADMK party over Sasikala assuming a pivotal role, the members seem to realize that they need to put on a united front to give fewer chances for the opposition to attack them and prevent political instability. Perhaps this has helped them handle the transfers of power fairly well so far. The drive to retain the upper hand has made AIADMK members realize that right or not, Sasikala is the best option as General Secretary for the time being. She has the advantage of being a familiar figure, and has made and maintained powerful connections within the party. Even if she succeeds in getting her party members to “be forced into approving her” it is going to be no easy task and she will have to constantly prove her ability. The Supreme Court’s verdict expected early 2017 is but one of her colossal challenges. The DMK with Stalin at the forefront should be expected to scrutinize her every move and use every possible avenue to its advantage. With DMK trying to attract AIADMK members disgruntled under Sasikala, the participation of other smaller party leaders such as Vaiko and Ramadoss, and worse, the demands of some of her own supporters that she also take up the post of CM, and the notorious reputation of her family members – which along with the mystery around Jayalalithaa’s death will not let the rumors that she conspired to kill Amma – Sasikala has several hurdles to face.Her family’s presence at Jayalalithaa’s funeral though the latter publicly disowned them places her in a poorer light. Her first public speech suggested she is aware of the risks she is running against. Distrust of her and her unpopularity at the grassroots level were reflected in the lukewarm welcome she received before the speech, according to Dhanya Rajendran of TNM. Reactions to the speech were predictably mixed. But looking at her strategy since Jayalalithaa’s death, the speech suggested she meant to hold her place. 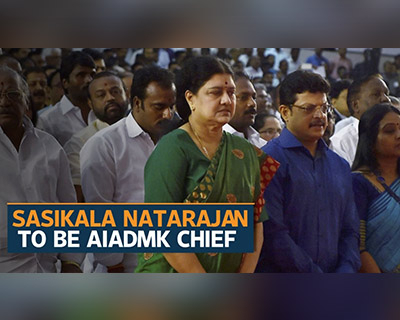 She has made the right start but even hinting that she aspires to take on Chief Minister Panneerselvam’s role as well will damage her controversial reputation further. Only time will tell if the uncertainty that engulfs the politics of one of India’s most politically charged states will be cleared up.